Each tribe in the district has its own traditional religious belief and practices. The Tangsas and Tutsas belief in existence of a supreme being called ‘Rangfrah’. Besides they also believe in a number of deities and spirits. However recently many of them have came under the influence of Christianity and Buddhism. The Singphos are Buddhist by religion but they have not given up their own traditional beliefs of their ancestors as they had adopted the Buddhism as their religion. Moh-Mol festival: Moh-Mol is basically agricultural related festival of Tangsas, which signifies end of an agricultural activity or beginning of crop season. Since life and activity of tribal people revolve around agriculture, they adhere to utmost important to this festival. It is a gala of pomp and show of traditional colourful costumes, ornaments, art and crafts that enriched the pride of Tangsa’s cultural heritage of the past. It therefore inspires younger generation every year to inherit, protect, preserve and continue it to the later generations further. Pongtu Kuh festival: Pongtu Kuh is an oldest agricultural festival celebrated by Tutsas on the eve of rainy season. The literary meaning of Pongtu is “Pong” means wind, “Tu” means retreating, “khu” means festival. The festival is celebrated after the harvesting of millet to welcome the New Year and to drive the old. Pongtu is observed to offer prayer to the supreme god Rangkathok for bumper harvest and prosperity and seek security of the crops from occurrence of natural calamities and other destructions like pests etc. The agricultural based Pongtu is celebrated in the month of April every year with pomp and gaiety. 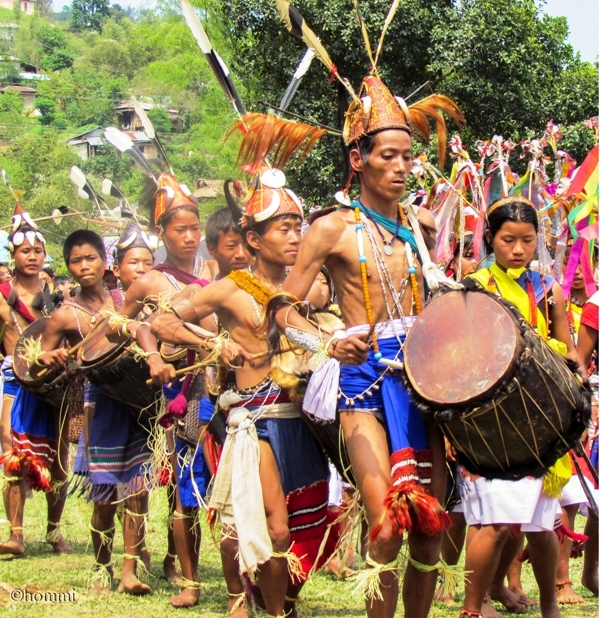 The festival is marked by several events like practicing of Rom-Hom a traditional chicken sacrifice for producing fire through rubbing a bamboo stick in hay in order to forecast whether the year would prove prosperous for them or not. It is believed that the sacrifice is given to the deity of the house and is practiced by only a section of the Tutsa tribe. 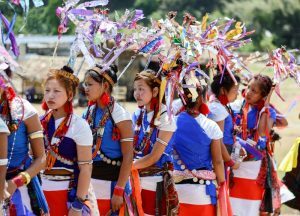 Colouful Tutsa dance displayed by folks of energetic and beautiful youths are the major attraction of the festival. Shapawng Yang Manu Poi festival: Culturally rich Singpho festival, Shapawng Yang Manou Poi is celebrated in the month of February every year. The Singpho youths in their traditional wardrobe display colourful dances with their usual tradition of drinking and eating. The prayers are offered to the almighty for peace and prosperity of the people and area during the festival.